PremiumSportsCenter: ARSENAL LEGEND AND ENGLAND KENNY SANSOM DEFENDER IS HOMELESS! 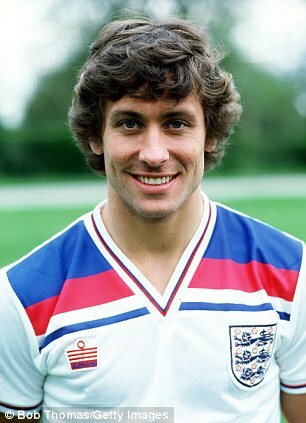 ARSENAL LEGEND AND ENGLAND KENNY SANSOM DEFENDER IS HOMELESS! 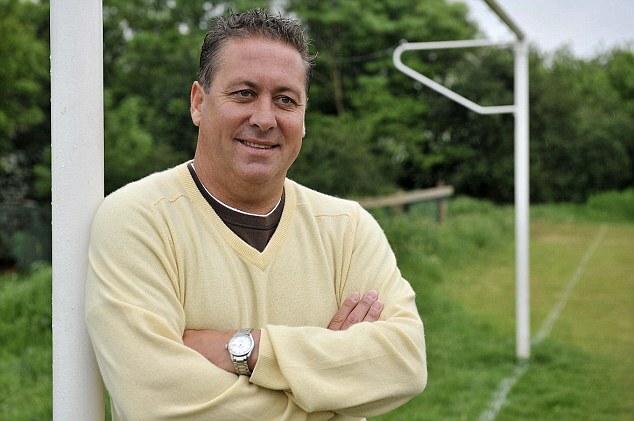 Arsenal legend and former England star Kenny Sansom has revealed that he is homeless. Sansom, who won 86 caps for his country, has admitted that has hit rock bottom after years of struggling with alcohol problems. The fifty four year old also revealed that been sleeping on a park bench and despite a brief stay with his elder sister, he disappeared again on Tuesday. In an interview with The Sun, he said: 'I've been living homeless for 10 days. 'That's because I've got no money, I'm a drunk, I'm feeling not very well and I'm a gambler. I've been living on the street. It's not good living on the bench. Sansom, who is England's second most-capped full-back after Ashley Cole, has been drinking SEVEN bottles of rose wine each day, according to The Sun. The newspaper reports that he had just a pay-as-you-go phone, an Oyster travel card and £20 in cash when they spoke to him. After earning around £1,200 per week and living in a £1million mansion during his playing career - which saw him play for England at the 1982 and 1986 World Cups - Sansom blew his fortune on booze and betting. Sansom, who is divorced from his wife Elaine, has sold most of his England caps in his descent into alcoholism. In his 2008 autobiography 'To Cap It All.. My Story', Sansom explained how he visited the bookies most days. He then spent every afternoon in the pub drinking and playing snooker - earning the nickname 'Mr Chablis' along the way. Learning of the news, Sansom’s former manager at Arsenal, George Graham, said: ‘He was a fantastic player under me when I was manager of Arsenal and he has over 80 caps for England. He was a model professional and it is very, very sad to hear that news. I am really surprised. I haven’t heard from Kenny for quite a while. I think the last time I saw him was on Sky television, working away. So it comes as big surprise. ‘I think he should get in touch with the PFA because they are usually very supportive when players get into problems like Kenny obviously has. I am sure that Gordon Taylor, like he has with many players in the past, will be very willing to help Kenny. ‘It seems some people can handle success and some people can’t. Tony Adams is connected with the Sporting Chance clinic that helps ex-professionals. If I was Kenny I would get in touch with these people who I am sure will help him get out of the difficulties he finds himself in at present. Kenny Sansom was one of the finest left-backs England has ever produced, representing his country 86 times during the eighties and becoming a mainstay of Arsenal's defence. Until overtaken by Ashley Cole two years ago, Sansom held the record for the number of caps won by an England full-back, with fans during that era recalling his strong tackling, pace going forward and crossing. Born in Camberwell, London, Sansom spent the first five years of his career at Crystal Palace, where he was a part of their meteoric rise from the Third Division to the First Division in three seasons under Terry Venables. He had collected a first England cap by the time Arsenal paid £1m to take him to Highbury in the summer of 1980, with Clive Allen going in part-exchange. 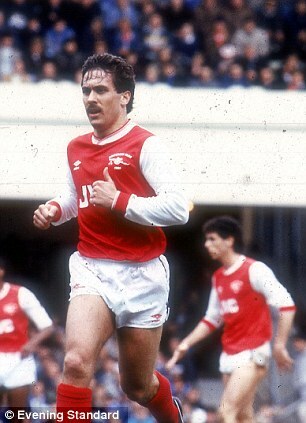 For eight years, he was a virtual ever-present for the Gunners, though it was a lean period for the club and Sansom won only one piece of silverware - the League Cup in 1987. So it was in playing for England that he gained plaudits and Sansom missed only a handful of matches during the eighties, featuring in the 1982 and 1986 World Cups and the 1980 and 1988 European Championships. He scored once for his country, against Finland in a World Cup qualifier at Wembley in 1984. 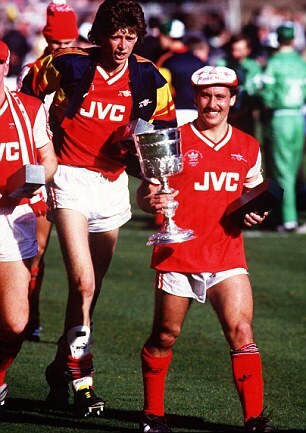 With Arsenal manager George Graham favouring 21-year-old defender Tony Adams as club captain and Nigel Winterburn as left-back, Sansom left the club in 1988 after playing 394 games. He later played for Newcastle United, Queens Park Rangers, Coventry City, Everton, Brentford and Watford before finally retiring in 1995. I thought this only happen to ex players in Africa.